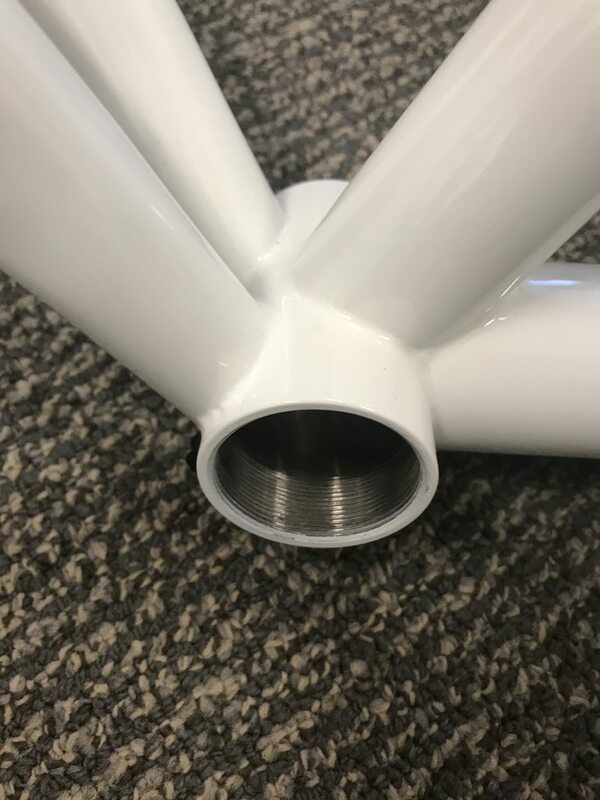 Frameset arrived earlier this week - started getting the parts on it yesterday - build will be completed tomorrow as long as I can find someone to face the bottom bracket in time. Beautiful. 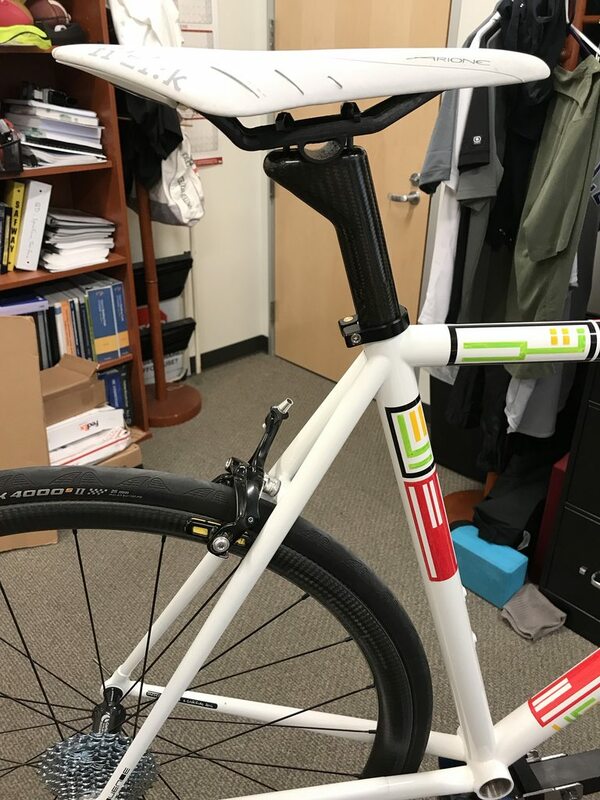 Post/saddle really work with the geometric paint design. nice! this is easily one of my favorite peg paint schemes. 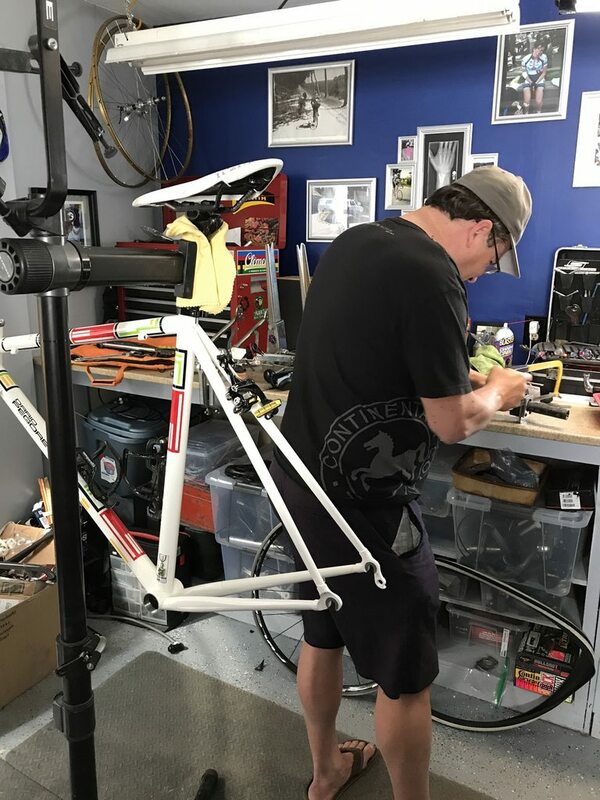 looks like this will be a proper campagnolo build, which warms italian hearts everywhere. what wheels are those, they look nice. cant wait to see this come together! Edit: I'm surprised Belmont let it out the door without the BB faced, or at least telling you about it and giving you the option before the shipped it out, bummer, as it was at a competent shop that could have sped up the process for you. Eh, minor speed bump though! Wow that is special. I still have a soft spot for white bikes. 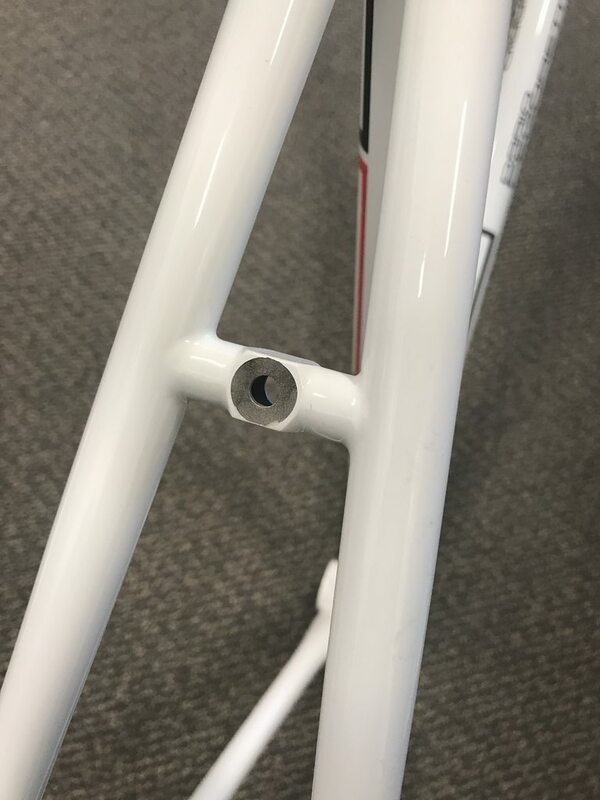 AX seatpost? Other WW bits going on? Enjoy those miles for sure. That bike will sing to you. Schweet! Just swapped saddles on mine to a new arione. 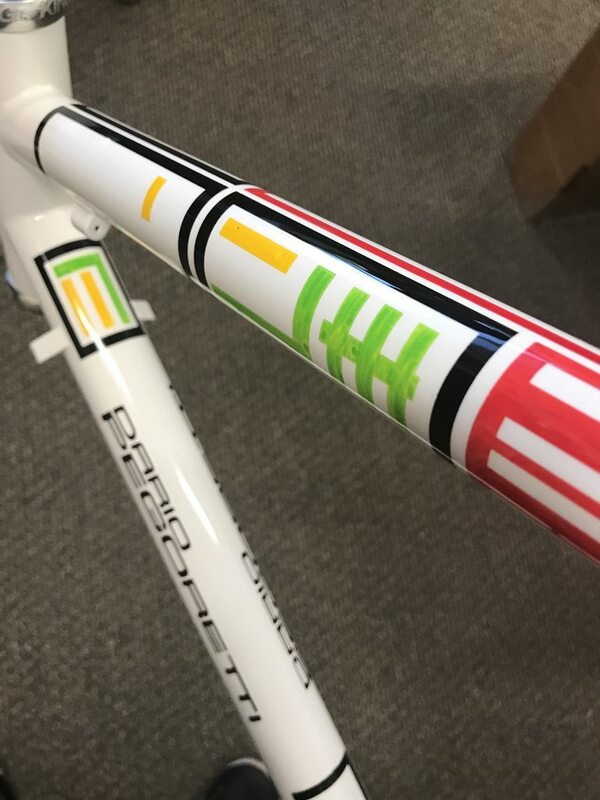 I love the paint on this and that frame looks spectacular....congrats! I believe this is true when Dario faces the BB from his workshop, but from the looks of this one seems that process was missed. And by seeing all that paint built up I would advise to face, as I'm sure Dario would agree. Paint is too soft when you torque the cups down. Especially those monster numbers that Campy requires. 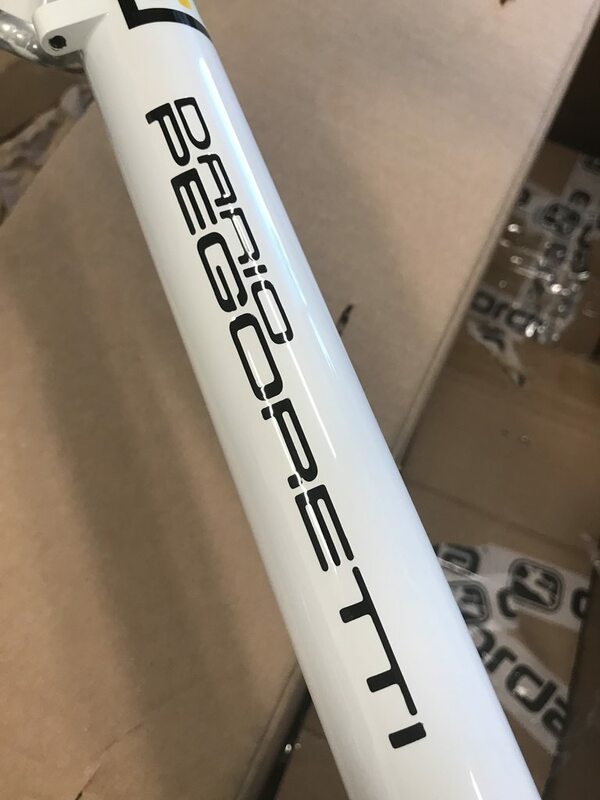 Ya, when I called Above Category yesterday to ask about them facing it they said "we always face the BBs when we sell a Pegoretti". I was never asked - and being that it's been 15 years since I have had a steel frame it didn't occur to me. 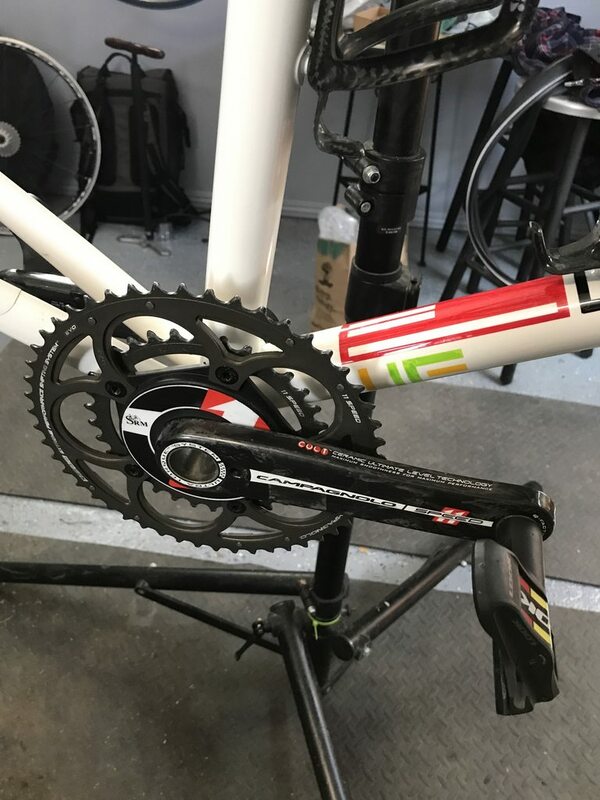 Full Campy Record 10 speed build including 5-arm Campy SRM. 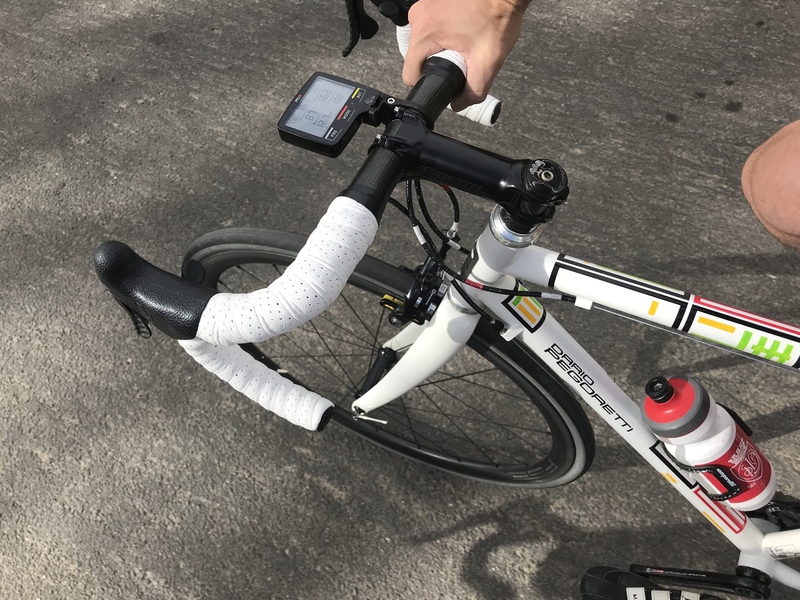 90% of the build components are from my Colnago Extreme Power. 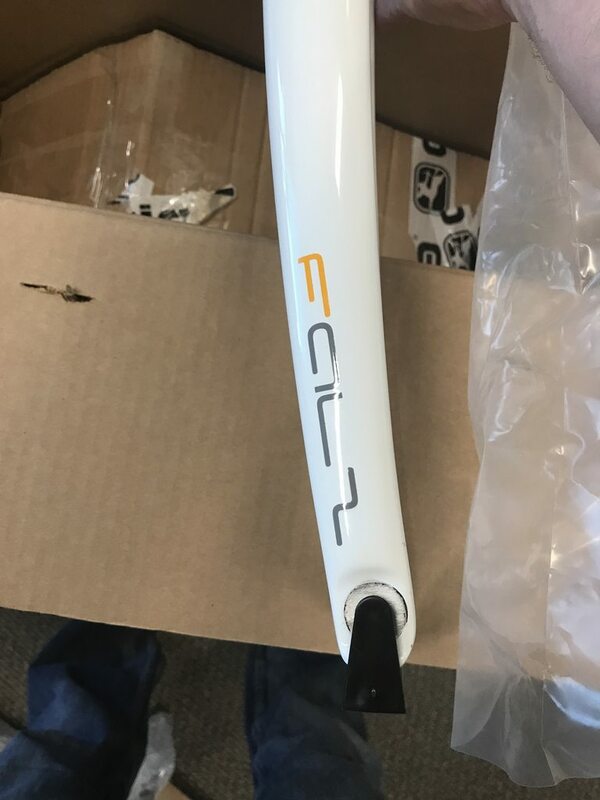 WW components are the MCFK seatpost, Schmolke TLO handlebars, Extralite Hyperstem. 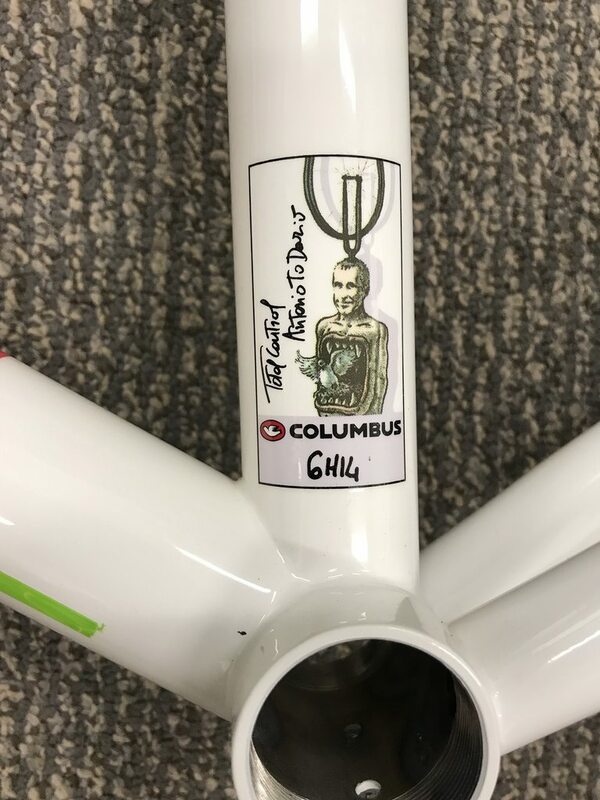 Hubs and skewers are Carbon-Ti. Rims are FSE - and while I had originally set out to get a set of Boras for my Extreme Power I was about to get these wheels built new for the price of used Boras and these are more than 200g lighter. I love the braking surface too - it's very consistent and the best I have ever used for carbon rims. Need more pics of this one...I think you will really enjoy it. Should come out fairly light too. I got my Marcelo under 17lbs pretty easily. mine from belmont is also not faced, and the bottle cage threads also need to be chased. ill be bringing it back to them to do it. Last edited by seanile; 09-14-2018 at 01:52 PM. 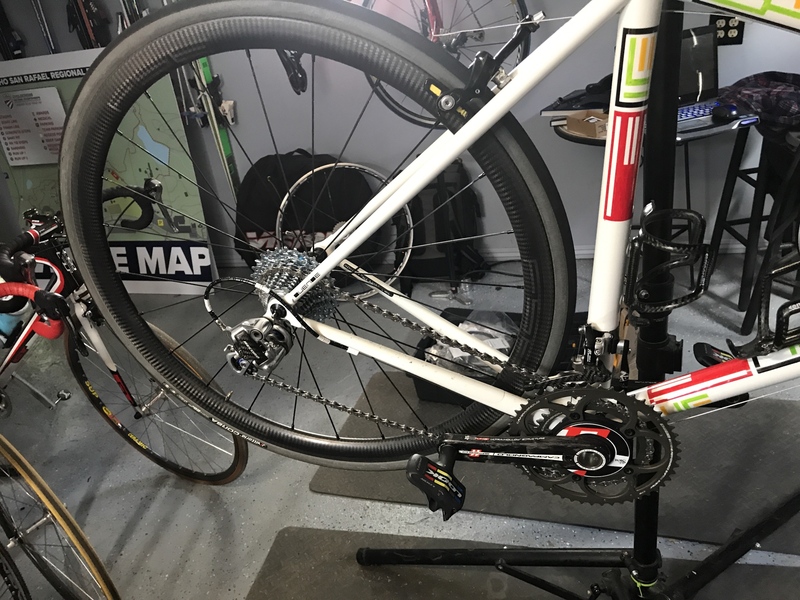 Ya getting the bottle cage bolts in there was an exercise in patience for sure! All put together and 1st ride completed yesterday. The ride quality was amazing - both in and out of the saddle. Looking down at the bike when riding just made me smile every time. As she sits she is at 16.98# and the heaviest bike that I have had in over 15 years. 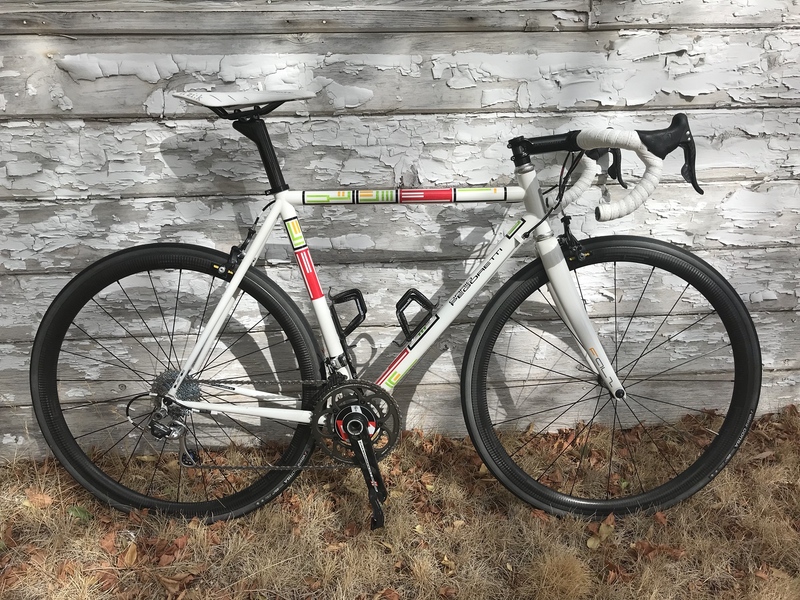 I figured that the weight would be less with the light saddle, post, stem, and bars. The wheels aren't that heavy either. I will get a Record cassette on there, but won't do anything else to drop weight. I could put on some EE brakes (which I have on my Extreme-C and I love) but I think that the Record ones on here look perfect. Looks great - both proud new papas of Campy10-equipped Pegs!! Anyway, well done. Would love to read some ride reports on these new rides. But think it will also be hard to be objective about the ride right now.